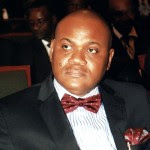 "The current ripples over the order by the Akwa Ibom State Governorship Elections Petitions Tribunal sitting in Abuja that the Independent National Electoral Commission (INEC) to move all the materials used in the April 11, 2015 governorship election in the state to its headquarters in Abuja is simply and routine exercise and no cause for alarm. Making this clarification in a chat with newsmen in Uyo, Mr Aniekan Umanah , who served as Chairman, Media/Publicity Committee of the PDP Campaign and former Commissioner for information and Communications, observed that, the Tribunal’s order for inspection of the election materials granted the All Progressives Congress, APC, and the fuss it is generating in their camp is needless and amounts to the proverbial storm in a tea cup. The immediate past information boss confirmed that, they are aware that, the APC propaganda machine is awash with all manner of insinuations and news skewed to soothe itchy ears and mislead the unsuspecting public, purporting that, the order amounts to victory for the petitioners over The PDP harping that, this is far from the truth. He therefore re-assured those he described as. “our teeming supporters,” that there is absolutely no cause for alarm over this development, which he maintained, is a mere routine in elections dispute that can be granted any party that so desires. Mr Umanah also argued that, the APC is finally coming to terms with the fact that, there was indeed an election that held in Akwa Ibom State, the materials of which they now seek to inspect. This he said is in contra-position to their earlier claim that elections did not hold in the state. According to him, the APC is embarking on a wild goose chase of inspecting materials that will only further reaffirm her defeat and overwhelming victory of the PDP in the elections and no measure of twisting the facts will change that. He reiterated his call on all members of the PDP, as well as stakeholders in the Akwa Ibom project and the countless supporters of the Governor Udom Emmanuel led administration to remain loyal and steadfast as the Government settles down to the onerous obligation of delivering good governance, democracy dividends and the much anticipated giant leap into the era of industrialization, wealth and job creation for all and sustainable development." lol... I pray for a progressive Akwa Ibom State all the way!